Meet us in person in Amsterdam to talk about our Mobile and Desktop Live Video Encoding Software Toolkits. 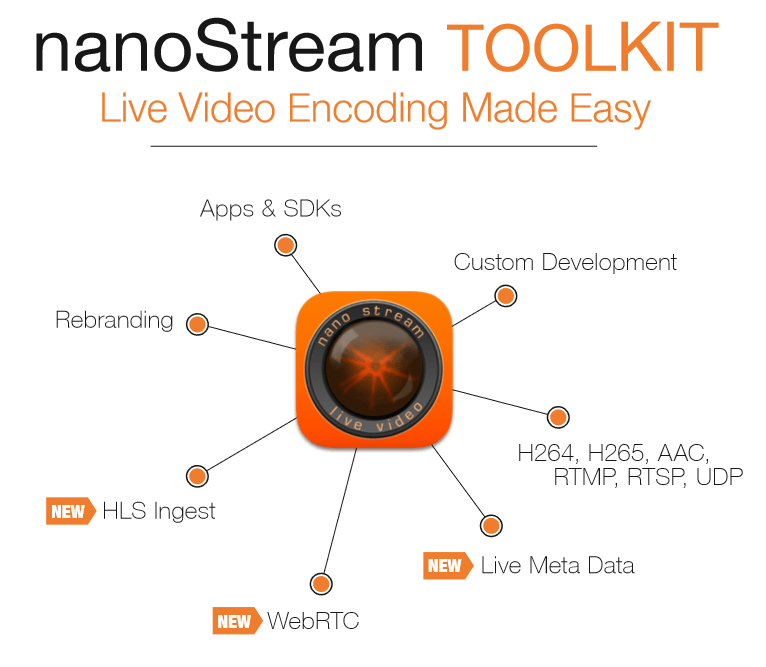 See how easy it is with our nanoStream technology to create your own professional live streaming applications (for news, sports, music, conferencing, etc.). available for several platforms on Windows, MacOS, iOS and Android. Contact us to arrange an exclusive or private meeting in our demo room.